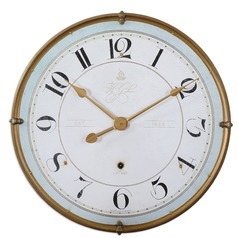 The following are detailed specifications about the Uttermost Torriana Wall Clock. Traditional clockAntiqued, Gold Metal Frame With An Antiqued Ivory Face And A Pale Blue Accent Around Inner Edge. Quartz Movement. 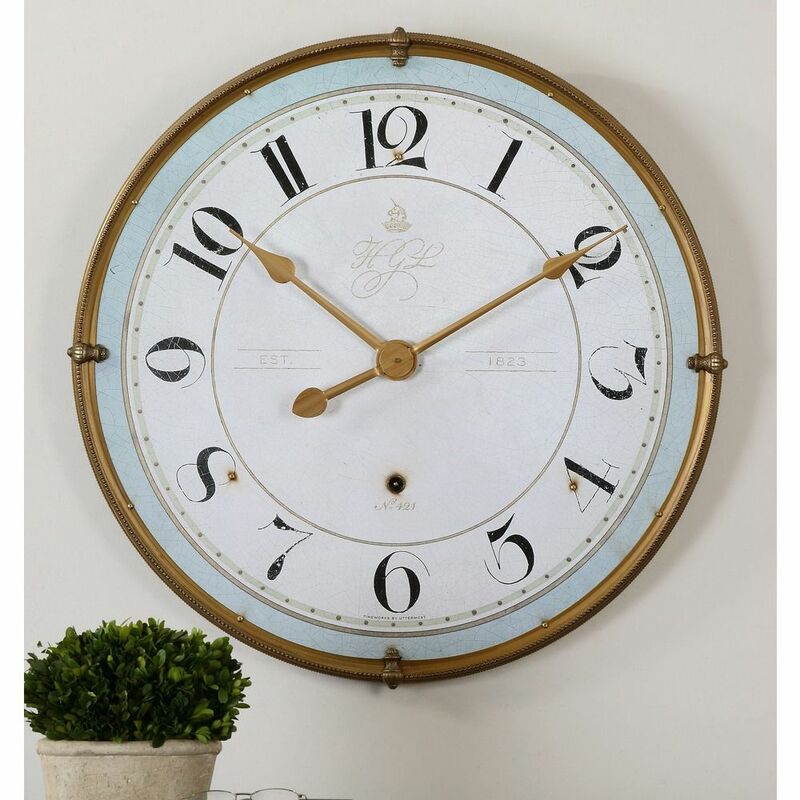 This Uttermost Torriana Wall Clock is part of the Torriana Collection from Uttermost Lighting. The following items are also part of the Torriana Collection.